Le890 is one of the best and most underrated app stores on the market. The Le890 app store might have a weird name, but through it, you will have direct access to countless tweaked or modified apps and games completely free. Currently, this app store is only available for iOS devices and the download prompts are in Chinese so keep reading below to see our full guide to download & install the Le890 App in English. If you don’t want to download a Chinese app then we recommend you check out our guides to download & install iApps4u or Appvn for iOS which are also quality app stores where you can find free apps and games. Even though the app installation process is in Chinese, there is nothing to worry about, just follow our step-by-step guide in English and you will be enjoying free apps & games in no time. 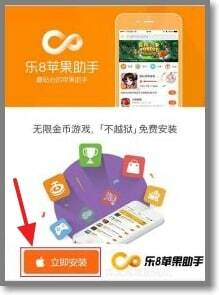 When the URL opens, you will notice the orange homepage of the Le890 app store. Find the orange button as seen in the image below and click on it. After clicking on the orange button you will see a popup. Close the popup and wait a few seconds for the download to complete. Once the download is complete you will receive an additional popup to install it on your phone. Since the Le890 app does not come from the app store, your device will view it as an “untrusted app”. Force your device to allow the installation to continue by navigating to trust>>settings>>device management & allow the installation from “untrusted sources”. Enjoy your app store filled with free apps and games! While the Le890 app store is filled with fun games, we have noticed a few, in particular, are extremely popular and we wanted to provide you direct links for easy access. A popular action-adventure open world similar to Grand Theft Auto where you control a small-time gangster who is looking to dominate the gangster world. The game offers wide open gameplay allowing you to drive a wide variety of vehicles and attack random people with a huge arsenal of weapons. The game boasts a huge map and excellent graphics and gameplay. It was created by Gameloft and is highly recommended! 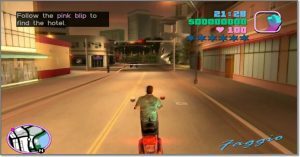 GTA Vice city is a well-known action-adventure game created by Rockstar Games. The storyline and gameplay on GTA Vice City are second to none providing you with a huge map, lots of weapons and cars to play around with & tons of missions ensuring you will have hours of fun! As I’m sure you know, Minecraft is the never-ending open-ended adventure and building game made from blocks allowing you to continuously break down and rebuild your environment. Highly addictive and known for its endless amount of fun. Thank you again for checking us out. We hope you found this article about the Le890 App Store useful and informative and as always we value your feedback, so let us know how we are doing or just give us a shoutout in the comments below. Thanks!